I’m always trying to come up with different ways of eating foods, but also ways to make sure I am getting in enough protein too. And as today was a rest day from exercise, protein was essential to help recover the muscles which have been annihilated throughout the week. Then I remembered the power wraps that I first made before the beginning of summer – they were delicious – only this time I used the tuna, chickpea and Quinoa meatballs which I made yesterday. 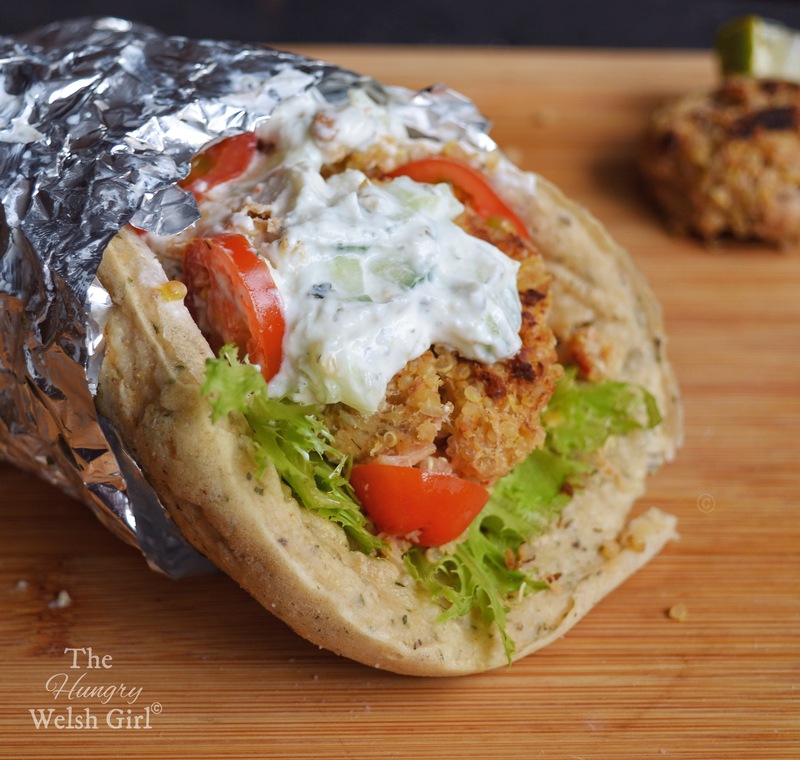 This was a brilliant idea as the meatballs had nearly 4g of protein per ball and the wrap itself, made with Kodiak Cakes power cake mixture; had 18g and combined with the tzatziki – fage 0% Greek yoghurt – this power wrap contained a whopping 40g of protein. My muscles were definitely thanking me after this. Want to try making your own power wrap? Combine the power cakes mixture with 125ml of water and the herbs before whisking the batter until smooth. Heat a frying pan with the spray oil or butter and cook until both sides are golden. Now all you have to do is fill with your tuna, chickpea & Quinoa meatballs, salad and tzatziki – 40g Fage 0%, Garlic and Coriander. And that’s it: simple, easy, nutritious and delicious, for an on the go snack or as part of a meal. For more recipes, reviews and ideas follow me on Instagram – @Happy.Hungry.Healthy and tag me in any recipes you try. Tuna, Chickpea & Quinoa Meatballs.